Here is a presentation I have created to show what stresses me out and what relieves it. "The most important thing is not to win but to take part, just as the most important thing in life in not the triumph but the struggle. 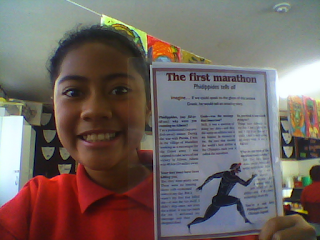 The essential thing is not to have conquered but to have fought well"
How many people can compete in a marathon? In a marathon, there no limit of runners. How long does it take to run a whole marathon? Usually it takes 6 hours or more for a runner to complete a marathon. Today the marathon distance is about 26.2 miles (42.195 kilometres). Bees are unlikely to sting human beings, unless they are being provoked. 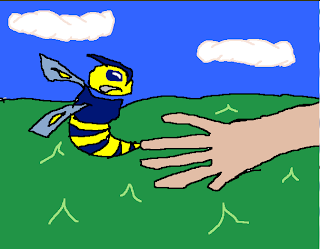 Using the weapon that has been given to them by nature, they use their sting as self defence. A bee’s stinger is a fine sharp barbed tube. Only worker bees sting, injecting a drop of poison into the body. 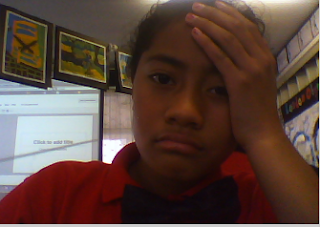 It is said that a bee can only sting once then it dies. Generally a person that is stung instantly knocks the bee, tearing the stinger from the body. This prevents the offender from withdrawing the sting naturally. Bees are able to sting as often as it wants. Unless we quickly pull the stinger away from the body. 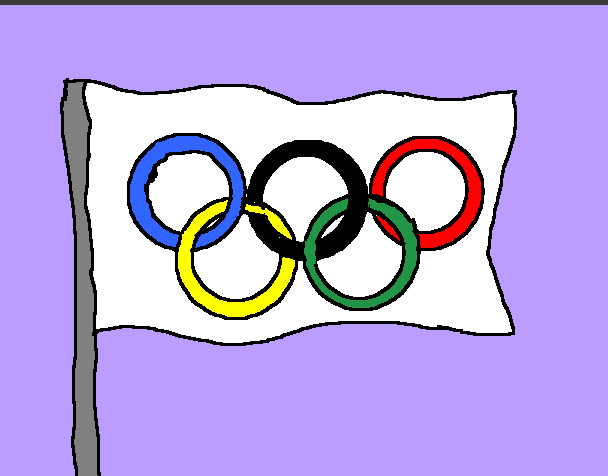 Swifter, Higher, Stronger is a special motto in the Olympic games. It encourages the athletes to do their absolute best. Athletes view their effort as a victory even though they didn’t get a placing. Swifter, Higher and Stronger can be compared to the well known saying “The important thing is not to win but to take part”. 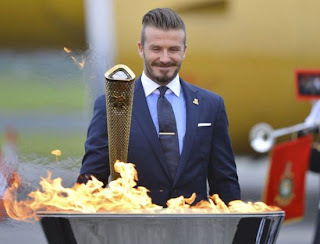 The Flame is one of the best known features of the Olympic games. Months before the games start, it is lit. Only can it be lighted by the sun’s rays in Olympia, Greece. This is done in memory of the origins of the Olympics. It is carried by relay to the host city. To start the opening of the games, the torch is brought into the stadium by the last relay runner. Who uses it to light the cauldron that will burn the entire length of the games. The cauldron is extinguished on final day of games. Thanks to Sina.English for this photo. 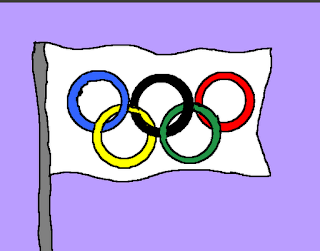 Baron Peirre de Couberth invented the the rings (the rings is an Olympic symbol). Which have the 5 colours, red, blue, black, yellow and green. 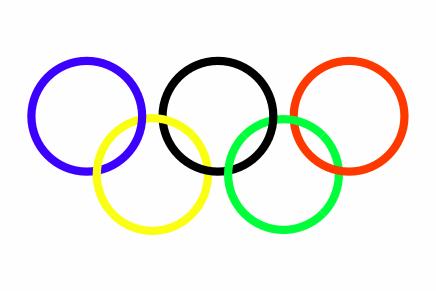 The interlocking rings represents the joining of athletes to participate in the Olympics. In the opening ceremony of the Olympics, the Olympic flag is transported into the stadium. It’s hoisted up the flagpole where it must flow in the air throughout the games. When it is lowered it signals the end. Thanks to Alliance Wake for this photo. And another Thank you to Library Think Quest for the other photo. Fencing is a combat sport with bladed weapons. This sport is only a 2 player game, battling each other. A player cannot play without protective equipment. Equipment such as a well fitted mask with a strap across the back, gloves, a jacket and lastly a weapon. The weapons used in this sport are foil, Sabre and a epee. To score a point, the player must touch his opponent with his sword in an approved target zone.